By now you’ve probably already seen lots of fanfare about the various “Color Of The Year” picks like Pantone’s Living Coral, Behr’s Blueprint, and Sherwin Williams’ Cavern Clay. 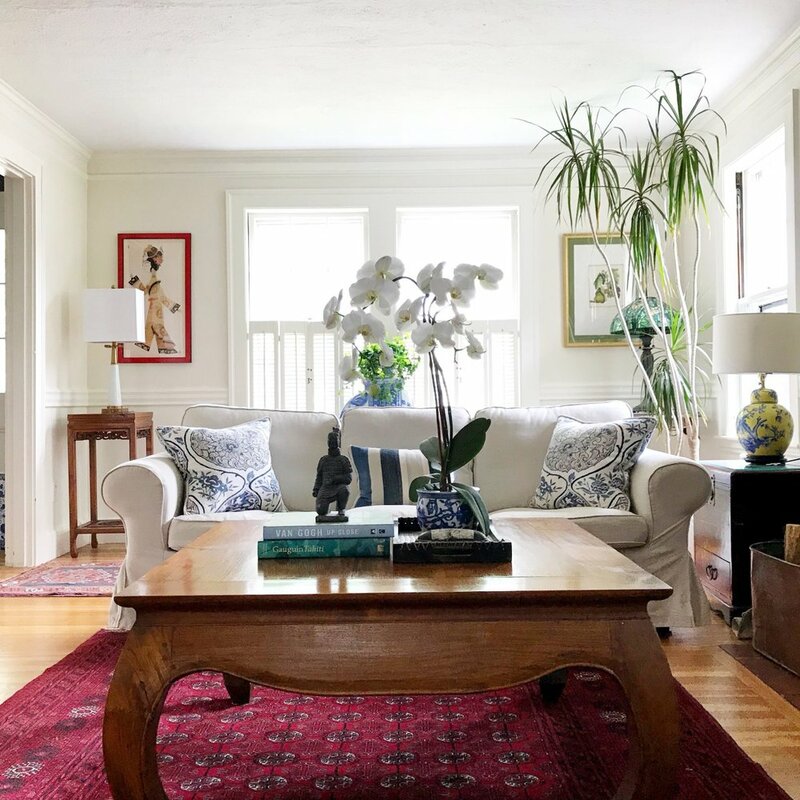 We’re loving this turn toward deep saturated tones, but we also have strong feelings about creating timeless and livable homes that work for our clients, which often means calming neutrals (especially in less sunny rooms!). For the last several years, interior design has been stuck in a depressing gray trend that we are so happy to kick to the curb in favor of warm and complex hues which also happen to work really well with some of the bolder paint colors that are trending this season! Keep scrolling for our guide to the New Neutrals of 2019, plus our tried and true tips for getting it right every time. For simplicity’s sake (and also because it’s our favorite and therefore what we generally use) we’re only discussing Benjamin Moore (BM) colors. 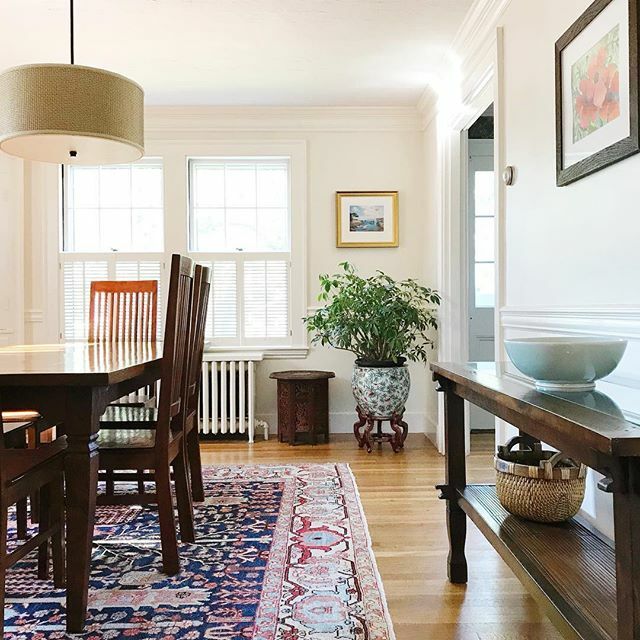 There are extremely close matches to all of our picks by Sherwin Williams, Farrow & Ball, and others which you can easily search for on the internet if you prefer to use a different brand. Horizon Gray is a lovely green gray. Just know that those green undertones aren’t subtle, so if what you want in your heart is true gray and not green-gray, steer clear of this color. Grey Owl is one of the most popular grays out there right now. It’s lovely, but boy does it like to play tricks! Here’s the thing- it’s dominant undertone is green, which, remember, can be warm or cool. This is a cool grey, and when it’s in a room without loads of light or next to other cool colors, that green undertone can look A LOT like blue. So if you have your heart set on this color: test, test test! Moonshine is a very pale grey with green undertones. This color can give a room a soft soothing glow, but in dim light it can go quite muddy, especially if you try and use it in combination with a warm off-white color. Moonshine will bring out the undertones in those creams and make them look a terrible peach color. It needs to be paired with a true white to avoid looking muddy. Simply White is a warm white, with a very subtle yellow undertone giving it a wonderful bright and fresh quality similar to that of a pure white. Another incredibly versatile white, White Dove is warm and very pale, making it work equally well on walls and trim. Above: A kitchen in White Dove with Simply White Trim. You can see how White Dove is just a hair warmer than Simply White (White Dove has slightly pinker undertones). Navajo White (It’s baaaack!) After being wildly popular and then falling steeply out of fashion, we think Navajo White is ready for a comeback because it’s the perfect backdrop for the primitive decor and old world farmhouse trends we’re seeing the return of this year, especially in kitchens. Navajo White is a very warm, creamy white with strong yellow undertones. This is a controversial HOT TAKE, but we think it’s a great choice (you might even say ‘classic’) if you want a truly warm, rich white. We especially love it for a vintage farmhouse feel or north-facing rooms that don’t get much natural sunlight. Above: A dining room and formal living room, both in Navajo White. Decorator’s White is our pick for pairing with this season’s trendiest saturated hues, like hunter green, deepest teal, and the matte black trend we channeled in our recent radiator makeover because of the way it can make any color pop. There’s a reason it’s called Decorator’s White. Although black walls and super saturated hues will continue to rise in popularity, the white walls trend is still holding steady for the time being. If the warm primitive look isn’t your thing, Super White is an extremely clean and crisp white guaranteed to brighten any space. It’s the perfect backdrop for a colorful floor to ceiling gallery wall or as a foundation for layering textured neutrals. Above: Views of a living room with Super White walls and Decorator’s White trim. So, what do YOU think? Are you ready to trade cool grays for warm whites and green greiges? And how are you feeling about the bolder color trends like Living Coral and Blueprint? Got an all-time favorite paint colors that we left of this list? Let us know in the comments or on our IG account. We LOVE hearing from you! A Gen Xer & Millennial each weigh in on 2019’s hottest interior design trends…and they want your vote!